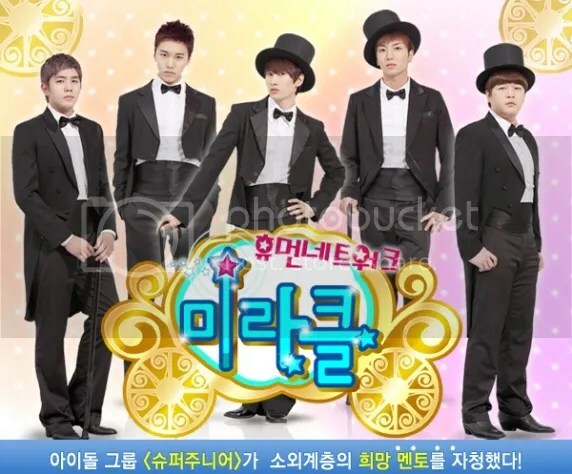 The members of Super Junior have their own variety show, Human Network Super Junior’s Miracle where they try to help teenagers who are going through hardships in their lives. SJ members encourage the teenagers to pursue their dreams by finding them a role model that they may look up to in a career profession that they want to join. Super Junior show the teenagers that nothing is impossible and that they can do it, even though it may seem like all odds are against them. Hi I would like to ask if you can add the episode where IU is one of the guest…Please..I saw few videos for this episode on Youtube but it doesn’t have english subtitles…Please help..Tnx..